With Super Bowl 50 ready to kick off in nearly 24 hours, the talk leading up to and surrounding the game is almost over. It has been argued and dissected by analysts, current and former players, and couch jockeys like myself, and everyone has their own opinion of how it will play out. Two storylines in particular have been at the forefront of most discussions. First, that Cam Newton is unbelievable (and polarizing as discussed here). The second, that Peyton Manning is washed up. Throughout the year we watched as an elite QB, one of the greatest of all time, fell off the metaphorical cliff in both his physical strength and on-field statistics. The man who remains second in consecutive games played in NFL history behind only Brett Favre, missed multiple games this season with an injured foot, and when he returned healthy enough to play, he was benched; the Broncos deciding to go with their backup QB, a relatively unknown commodity in Brock Osweiler, over the first-ballot Hall of Famer. 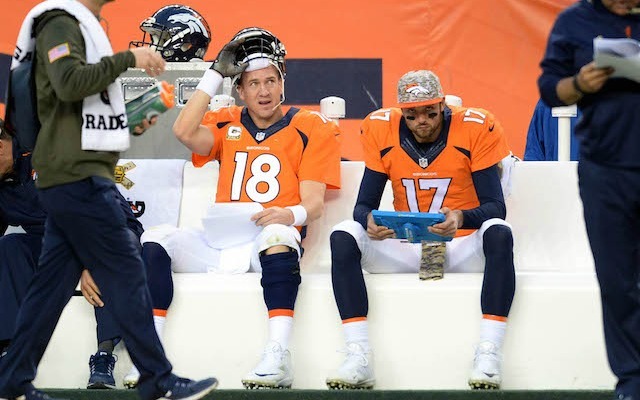 Since regaining the starting job in Week 17, Peyton has continued to look like a shell of his former self as he successfully navigated wins over Pittsburgh and New England with the help of an otherworldly defense en route to his 4th Super Bowl appearance. He has often been more of hindrance then savior. We have heard that Carolina’s and Denver’s defenses are very similar, but the biggest disparity between the two teams is their quarterback play. This is a completely valid argument, one I have made myself when breaking down this game, but there is one thing that people are forgetting… we are talking about sports here, and sports are Romantic. Now I don’t mean sports are romantic like, “Oh, Valentine’s day is coming up… I should buy my girlfriend a football jersey” or “Lets head to the batting cages before dinner”. I mean Romantic in the literary sense. We have seen throughout the history of sports that sometimes all data, analysis, and logic can be thrown out the window. No team has ever triumphed over another before the game was played, or because the pundits said that is how it will play out. Sometimes the story trumps all the evidence and statistics, and fate decides the winner. Take the 1980 US Olympics Hockey Team. A bunch of college students thrown together, upset the Soviet Union, a team that was widely considered the greatest in the world. The 2004 Red Sox became the first team to come back and win when down 3-0 in a best-of-seven series, knocking off their arch-rivals the New York Yankees en route to their first World Series win in 86 years, breaking the famed ‘Curse of the Bambino’. NC State Head Basketball Coach Jim Valvano guided a team that struggled to make the NCAA Tournament to 9 straight wins (7 of them trailing in the last minute of the game), capped off by upsetting one of the greatest college basketball team of all time as they took down Univ. of Houston to win the tourney. Against the advice of the team doctors, Michael Jordan played with the flu and high fever in Game 5 of the 1997 NBA Finals. Barley able to stand at times, and often needing to be helped off the court, Jordan scores 38 points in the game (15 of which came in the 4th quarter) topping it off with a game winning 3 pointer in the final seconds. The list goes on and on. This is why we love sports. There are not many other mediums where the reality is often times so unbelievable that it sounds made up. Where the triumphant outcomes sound like they belong in an epic Hollywood movie instead of the front page of the sports section. When superstitions, curses, underdogs, traditions, Hail Mary’s, buzzer beaters, walk-offs, and destiny are terms we hold dear. When individuals transcend the perceived limits of what the human body can will itself to do. This is what makes sports what they are. He is a first-ballot Hall of Famer and a probable top-5 quarterback in NFL history. His body may be breaking down, but his mind, his understanding of the game, and his leadership have not. He has had two weeks to prepare for what might be his last NFL game, it most assuredly will be his last meaningful game, with the ability to add a second ring to validate the first. He has a chance to shift the narrative; to change his lackluster playoff reputation with a Super Bowl win few expected him to get. One game away from walking off the field and riding into the sunset the same way current GM and former Denver QB John Elway did… as a champion. So tell me about how weak his body is. Regale me with his awful statistics. Cast doubt that Manning even deserves to be on the field this Sunday. But remember one thing. This is sports, a place where special players make the unbelievable and unfathomable a reality in moments like these. 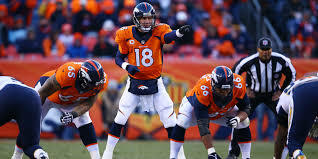 Peyton Manning will try and prove that he has 60 minutes of elite play left in him this Sunday. I wouldn’t bet against it. Next Article » The Karate Kid: Is Stephen “Wonderboy” Thompson Destined for Gold?